Leading Manufacturer of ibc mixer and pneumatic agitator from Nashik. This agitator / Mixer is designed suitable to Internationally approved IBC ( Intermediate Bulk Container ) Of size Dia 1mtr x 1mtr x 1mtr. This unit is manufactured user friendly. There is unit movement facility like Hook for lifting / Space for fork lift. Handle for manual movement. 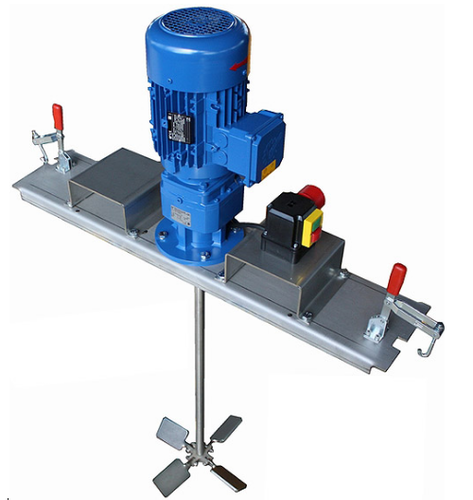 3 phase / Single phase drive motor, Gear Box, Speed variation controller with control panel. Toggle clamps are provided to hold agitator assembly tightly on IBC. 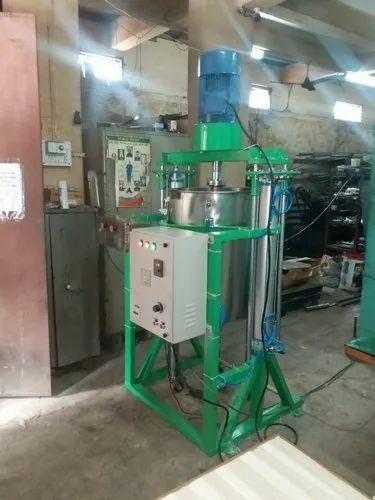 Agitator / Stirrer impeller is expandable type, It expands as the speed is getting increased. This shaft dia, shaft length, Impeller dia is specially designed considering the shape of container.